On Monday, Nov. 2, PRSSA-UD members and newcomers filled Gore Hall to hear about all of the upcoming opportunities available to members and to learn from social media guru Beth Granger. The executive board first discussed Night with the Pros, a networking event that provides a fantastic opportunity for members to meet a panel of four professionals from all aspects of PR. This year’s event will be held Thursday, Nov. 12, from 7-9 p.m. at Brew Ha Ha. Another exciting event coming up is PRSSA National Conference, being held Nov. 6-10 in Atlanta. Follow along on Twitter with #PRSSANC and #udprnc! There was also a recap of the fall field trip to Karma Agency in Philadelphia, which was both insightful and interesting. 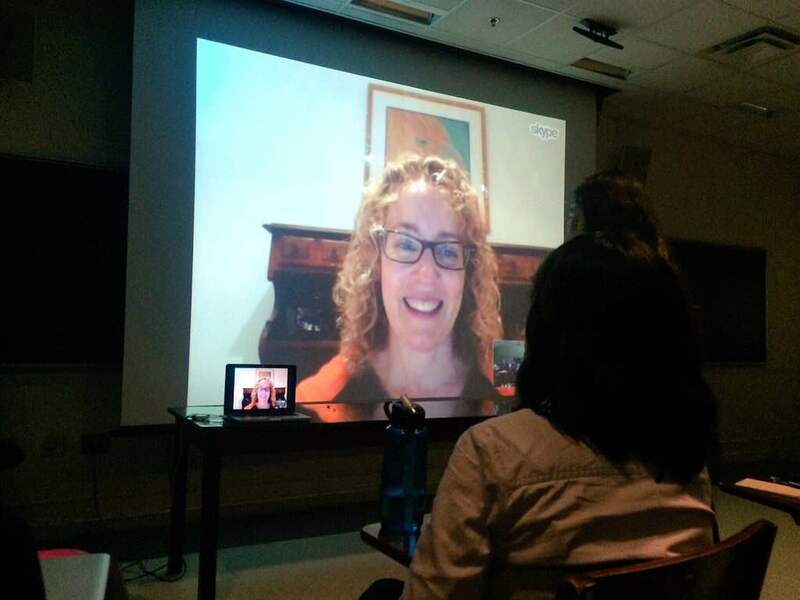 Guest speaker Beth Granger, “ideator” and social media marketer, then Skyped in from her home on Long Island. She gave great tips on how to make your LinkedIn profile stand out, such as making sure to publish written pieces and projects so recruiters can immediately see the work you’ve done. Granger also said the two most important sections of your profile should be your headline and your summary. Within the small character limit of the headline, you can make it an elevator pitch selling yourself, she said. She also called the summary section “like having a conversation with a recruiter” and to make sure you emphasize why you are unique and special. Another important tip is to avoid the use of hashtags on LinkedIn or on any other platform that doesn’t have a purpose for them, at least yet. When asked about the future of social media, Granger said that it lies in being mobile-friendly. With people increasingly using just their phones to access social media, being able to do everything right on your phone is essential. Her favorite new social media invention is called Blab.im, a video chat app that she calls “what Google Hangout could have been.” Blab allows four people to video chat simultaneously as an audience watches and comments, and can switch places with one of the video chatters. Another helpful piece of advice Granger offered was the importance of informational interviews for places you’re interested in working for. This helps you learn more about the company, as well as help you get your foot in the door. Allison Knouse is a senior Mass Communication major with minors in journalism and advertising. Along with being an active member of PRSSA-UD, she is the VP of PR for the National Society of Collegiate Scholars at UD and tweets for the university as a social media ambassador. Follow her @BlueHenAllisonK and connect with her on LinkedIn!